A jilted woman has found a new lease of life after her fiancé dumped her – by giving up her home, flogging her possessions and living in an old minibus. 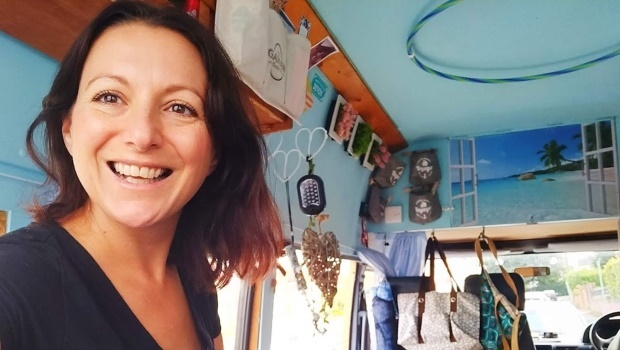 After her two and a half year relationship with her fiancé ended last year September, Danu Stratton-Kent (40) from Exeter in England decided it was the perfect time to rebuild her life and follow her dream. “I was engaged to be married to a man I met in my late thirties,” Danu says. “We lost two pregnancies together and this took the shine off our relationship. “I began to notice that being childfree wasn’t something I particularly minded as my forties loomed. “I agreed to marry him because I believed it was what I should be doing by my age – marrying, having children, doing up the flat and settling down – but I felt like I was burying my hopes and dreams. “He then left me completely unexpectedly in September last year. “After the initial shock, I spiralled into depression and anxiety but then I began to rebuild my ‘new normal’ with a determination never ever to compromise my values again. 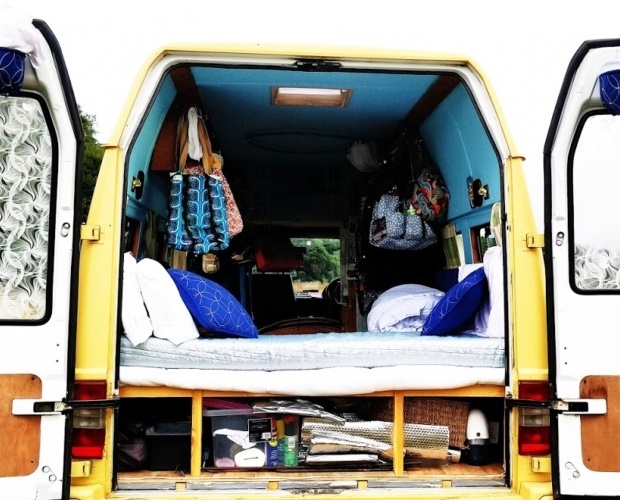 Danu, who decided to adopt a minimalist lifestyle, packed up, rented out her flat and invested in a 17-seater minibus in June. Now the leadership trainer, who says she’s never been happier, has a handful of possessions, holds down a job and saves money by housesitting. 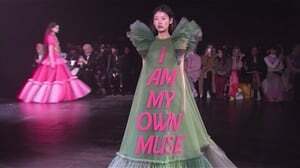 Danu started researching how to live frugally and became interested in the concept of minimalism, which embraces the idea you only own and buy things you love, value and appreciate. “Someone told me, ‘Everything you want is on the other side of fear’ so now I’m not letting my fears hold me back,” she said. Before moving into a van, she tried to see if she could live in her car having read a blog post about it. “I did worry what people would think but I couldn’t stop thinking about it. “I made a bed base out of plywood, took out the car’s seats, insulated the vehicle with silver bubble wrap, and threw in a thermal duvet. “I took out a flask of tea and slept in my car outside my house while most people were still eating turkey sandwiches and drinking Baileys [liqueur]. It cost me about £20 (R390) to kit it out. “I messaged my friends as I lay in the car – some were amused and others were celebratory,” she said. The free-spirited woman said she loves the variety of life on the road and getting to travel while juggling a full-time job. “Moving around from pillow to pillow, shower to shower, home to home, campsite to campsite, doesn’t faze me. I love it. “It keeps me busy and a long way away from the woman I was last year, who couldn’t move from the sofa after a day’s work because nothing meaningful was driving me. “It’s my idea of the perfect lifestyle and I get to move on before life becomes monotonous and then go on to discover another new home, new animals and new location. “I can wash in the van if I’m not housesitting or shower at friends’ or the gym,” Danu said. She doesn’t know if she’ll ever return to having a permanent home and isn’t looking for a new relationship. “When I get to a new housesit I do enjoy taking over the kitchen and making a proper meal but not enough yet to want a house of my own again,” she said. “Whenever I think, ‘Mmm, my own kitchen might be nice to have,’ I remind myself that having a permanent home means less discovery, less adventure.